The morning of the 15th we set off to Orono, ME for a wedding we had been looking forward to all year! Hannah had photographed Katie & Cameron's engagement session earlier that year and filled us in on how photogenic the couple was and how much they adored one another! 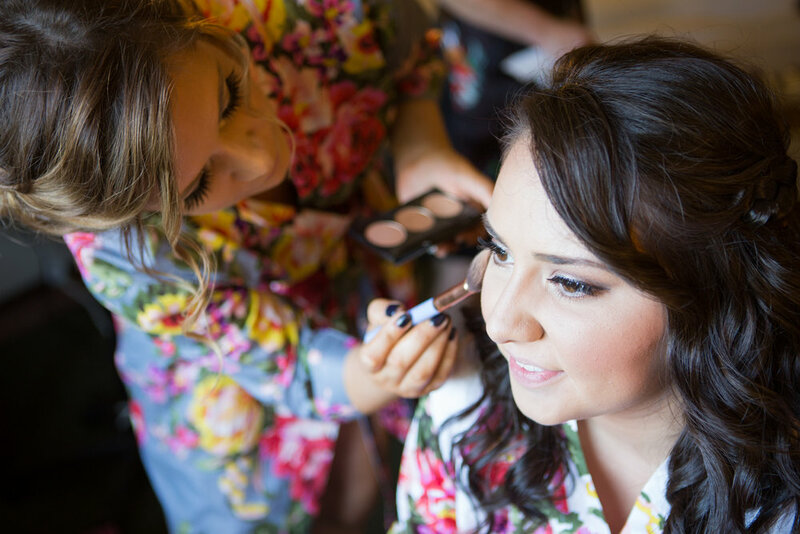 We finally arrived at the Black Bear Inn where Katie and her girls were getting ready- just in time for the finishing touches! Each had on matching floral robes as they bustled about getting things in order. They were having a great time- joking and laughing! The bride to be laid out all her gorgeous jewelry for us to admire. 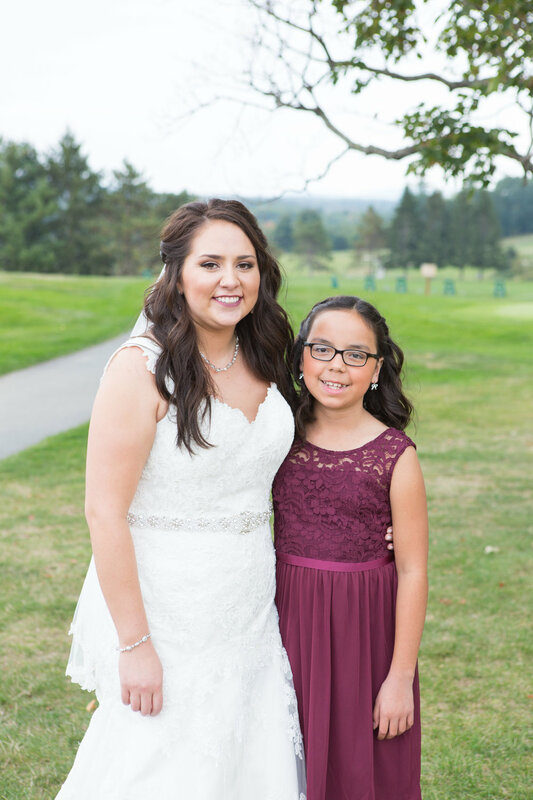 She told us that Cameron had given her earrings, a necklace and a bracelet for the big day- along with a love letter earlier that morning. Another special touch was a grey handmade shawl given to Katie from Cameron's grandmother. 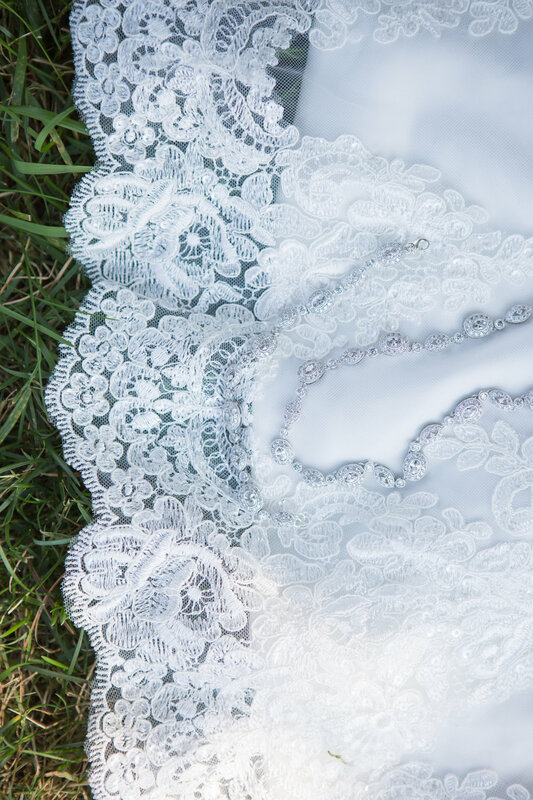 Katie wasn't going to need it on her wedding day though- it was hot and humid! A welcome September weather surprise for sure! Once all the girls were in their gowns, lip stick applied and all jewelry placed, they headed outside for some formal photos. Hannah loved to photograph Katie and often joked about her "serious look"- as Hannah loved how fierce she was. Once the photos were complete, the girls rushed back upstairs to the air conditioning! 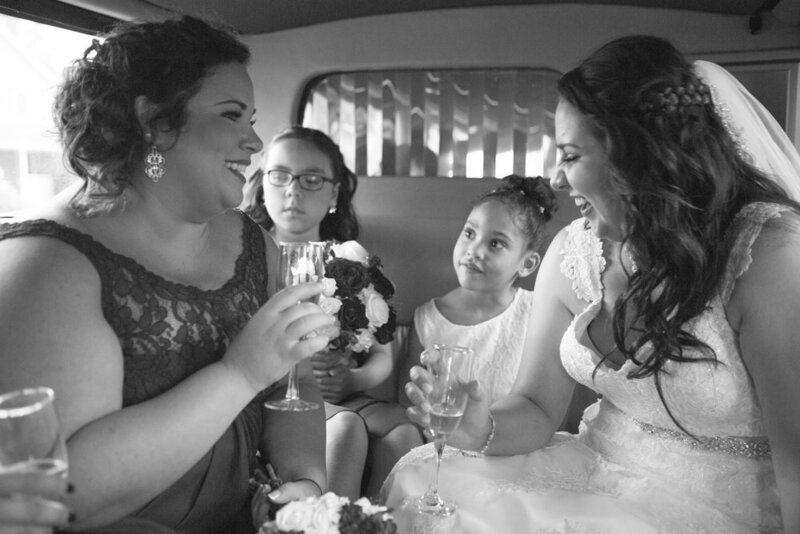 Shortly after, they piled into the limo for champagne and music to head to the ceremony! 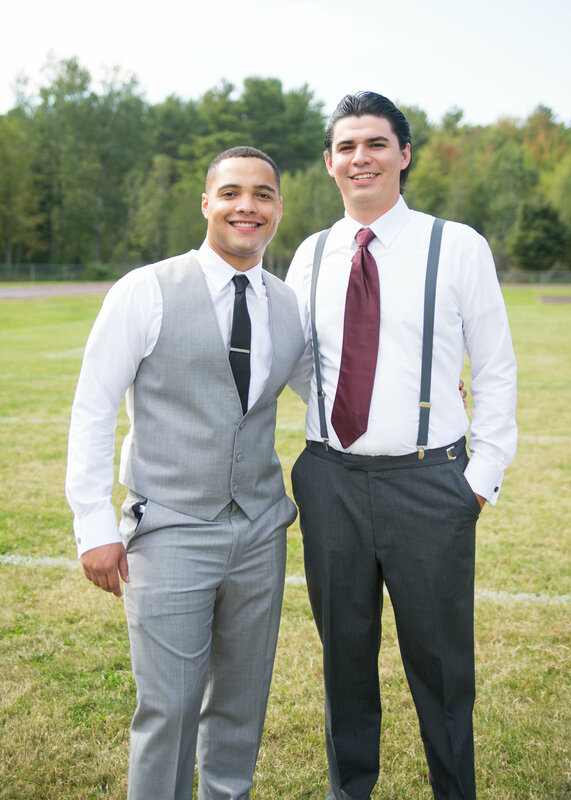 Cameron and his guys were already dressed and ready to go when Robyn arrived for their photos. Cameron let us know that he had an idea for where he wanted his formals to be taken! They brought us to the Orono High School where they once shared the football field. Robyn photographed them in front of the 'Home of the Orono Red Riots' sign, in front of the stands, and of course they shotgunned beers on the 50 yard line! :) They spent their time, while we took photos, reminiscing about their glory days and sharing moments from their games. From their banter, it was obvious that football and their time spent on the field was something important to them. After their nostalgic trip to the high school the limo brought them to the country club to wait for the ceremony to begin. Guests began to arrive and settle in their seats outside on the terrace behind the country club. The location was beautiful! 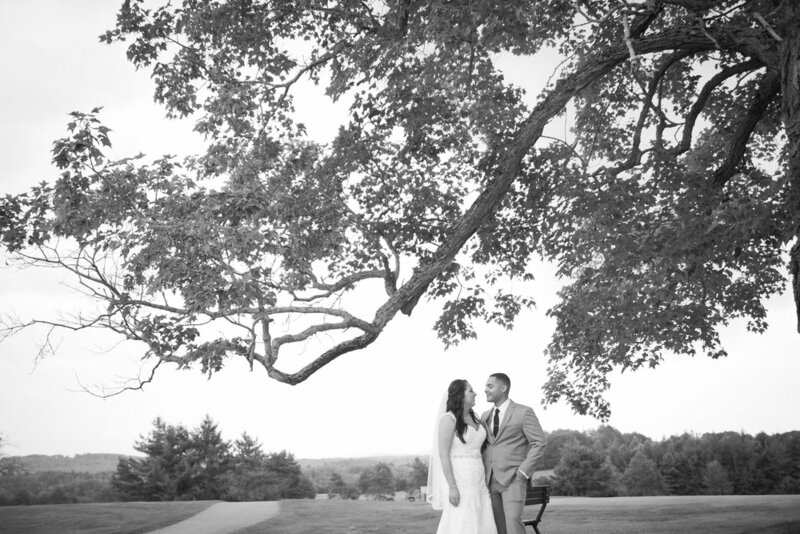 We loved the location that was chosen by the bride and groom. 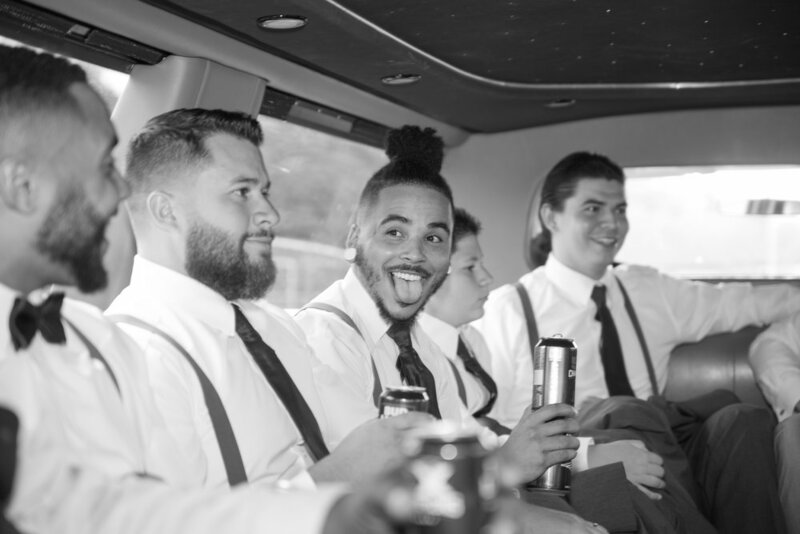 When it was time for the ceremony, Native American drumming began to play; Cameron and his groomsmen made their way up the aisle. With a big smile on Cameron's face he looked down the brick walkway waiting for the doors to open to reveal his bride. Once the doors opened, his smile grew even bigger as he made a "you got this" face as Katie was making her way toward him. There were quite a few whistles from guests -which made Katie break into a nervous grin. Once they were together at the altar Katie grasped Cameron's hand tightly. 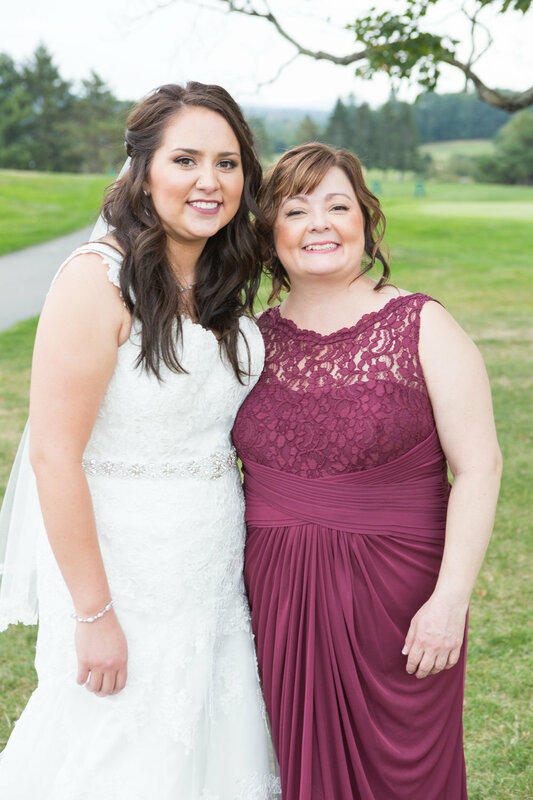 Their officiant welcomed everyone, expressing how wonderful it was that they were able to begin their marriage surrounded by loved ones. 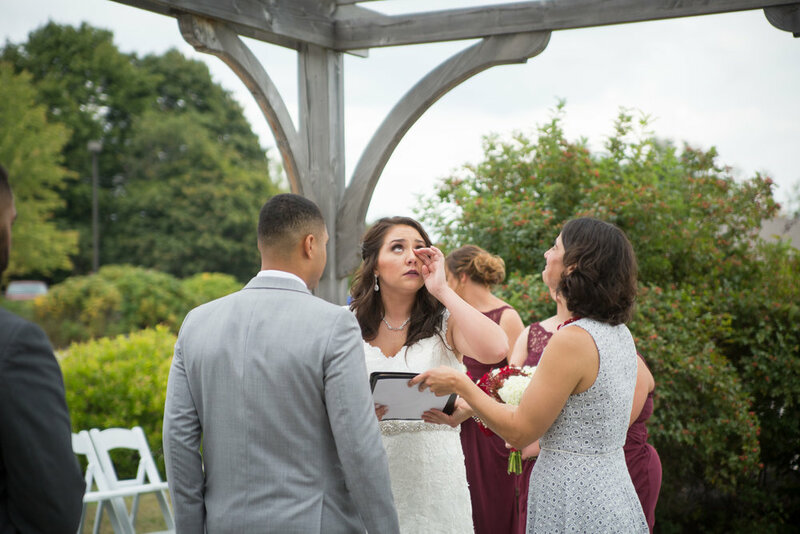 When it came time to recite their vows Katie's eyes filled with tears as Cameron read his, "I will forever be there to laugh with you, to lift you up when you are down, and to love you unconditionally through all of our adventures in life together." 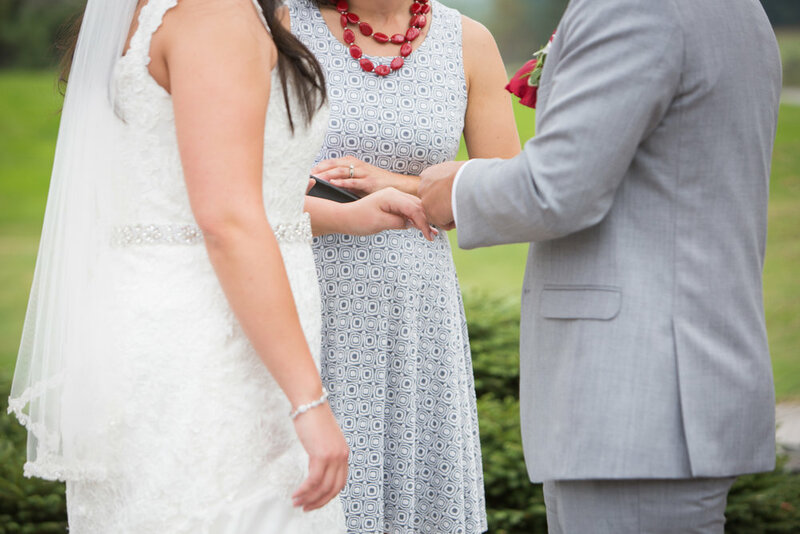 While Katie read her vows to Cameron he gently rubbed her arm to ease her nerves. She promised, "to encourage you and inspire you, and to love you through good times and bad. 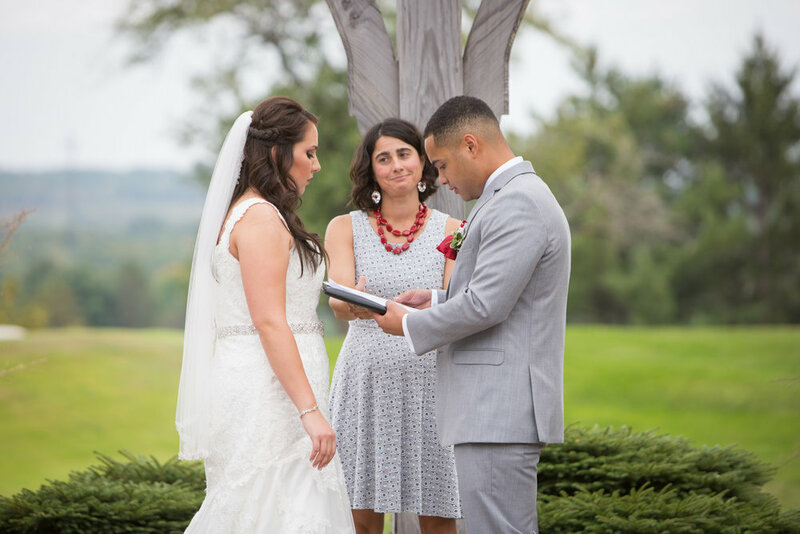 " They shared a soft smile at each other before the officiant continued to the exchanging of rings. With rings in hand Katie and Cameron recited to one another, "I give you this ring and promise that I will love, honor and cherish you in all times always and forever." They slid the rings onto one another's fingers, and as they were announced as husband and wife they shared a kiss! 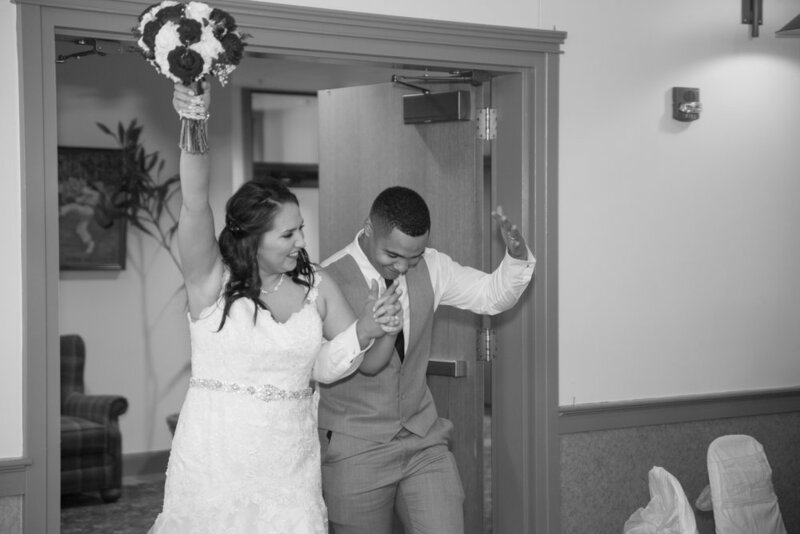 The crowd cheered and everyone stood as the newlyweds walked up the aisle hand in hand! They shared a look as if to say- finally!- as these two hearts have loved each other for many years. 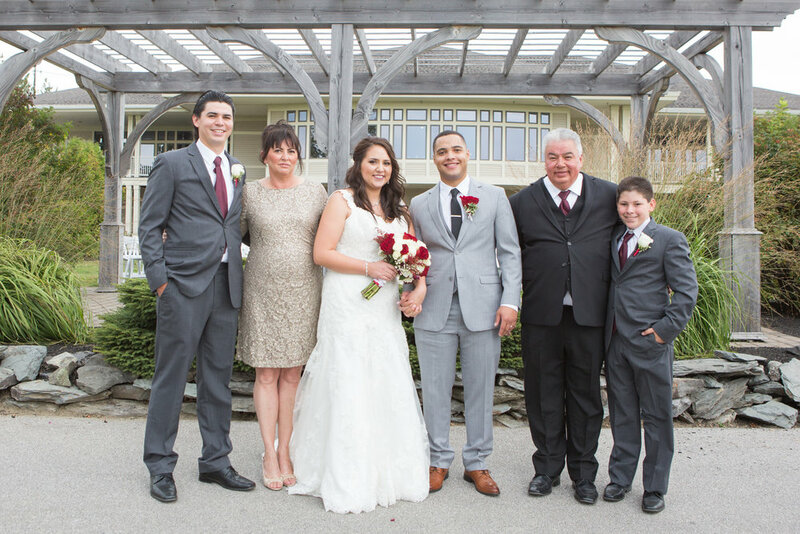 They headed into the country club and waited for their wedding party and family to join them. The wedding party was equally happy and practically skipped up the aisle to continue the celebration of their love! 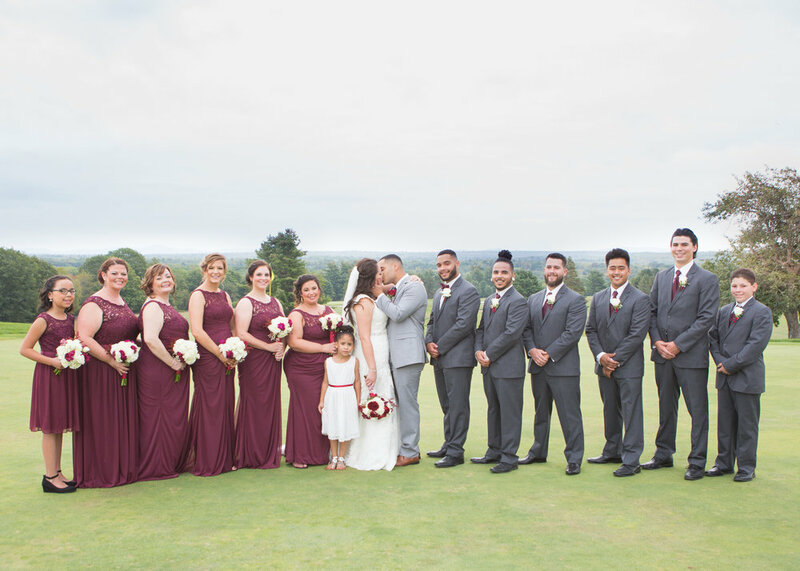 With the ceremony complete and the reception within arms reach, we whisked the new Mr. and Mrs, their wedding party and family onto the golf course for photos! The beautiful mountains and "beginning to turn" fall foliage made for a gorgeous background. Katie and Cameron were so cute together as they posed naturally in each others arms and made each other laugh. Having spent the last eight years together they always know what to say to get the other to smile and laugh! 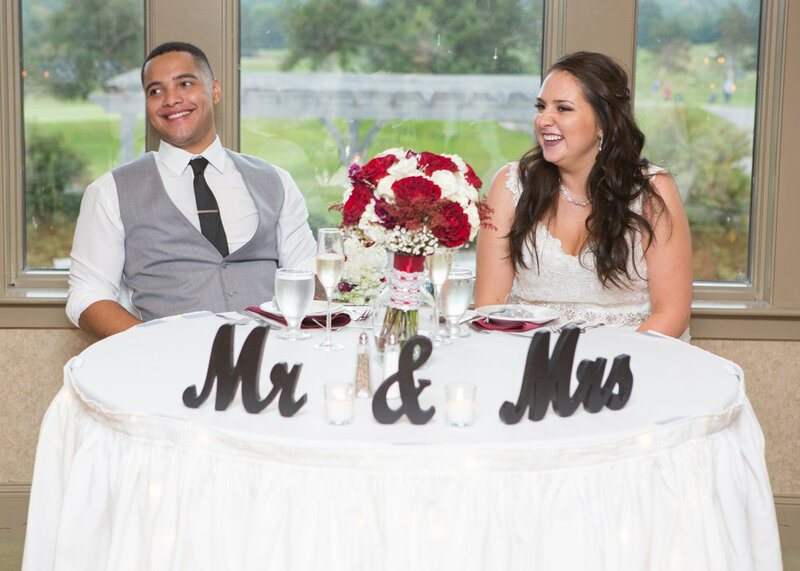 Katie and Cameron have some humorous friends and family! 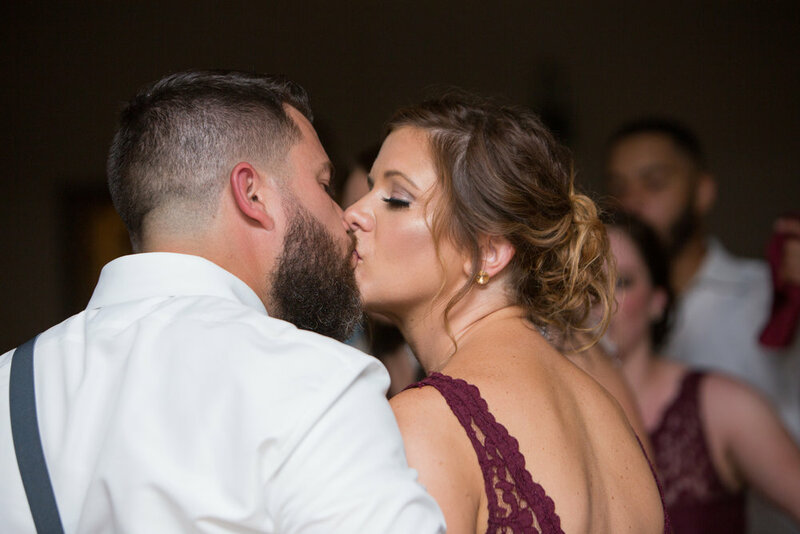 We can't get enough of all the fun candids taken that night! 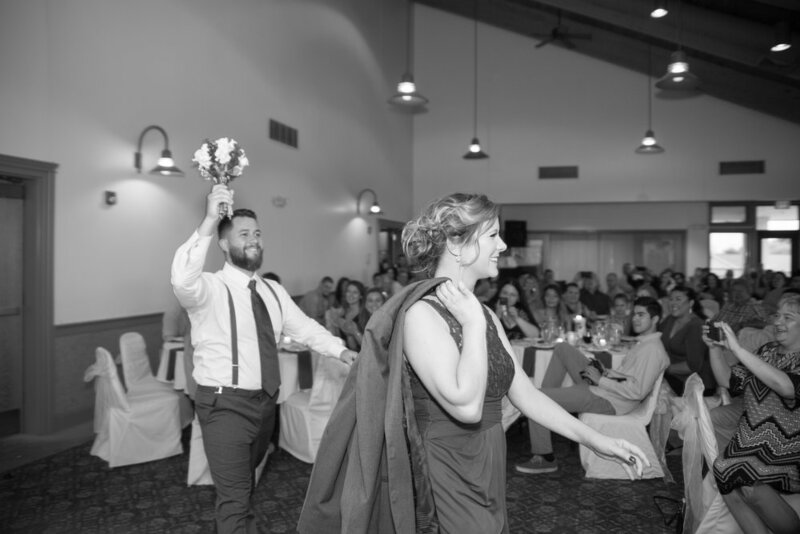 When it was time to be announced into the reception, their wedding party all made fun and bold entrances! 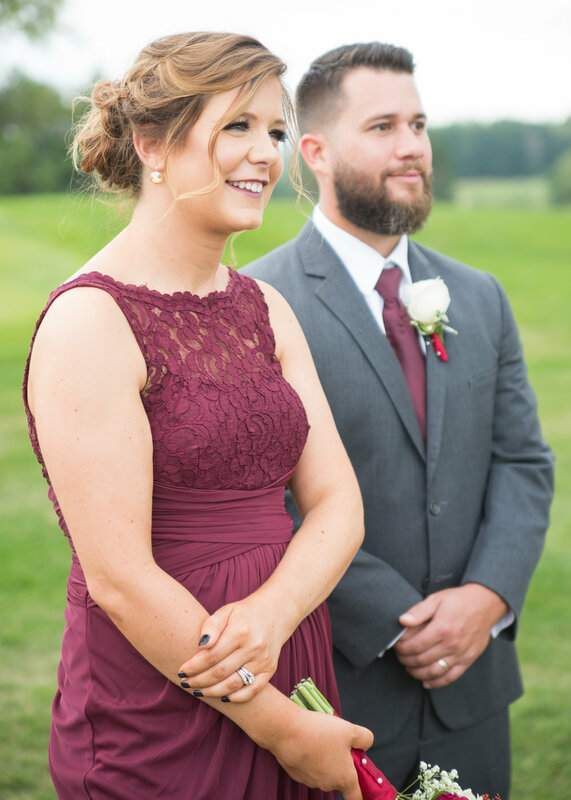 When Mr. and Mrs. Mowrer were announced in - the entire venue stood to cheer! 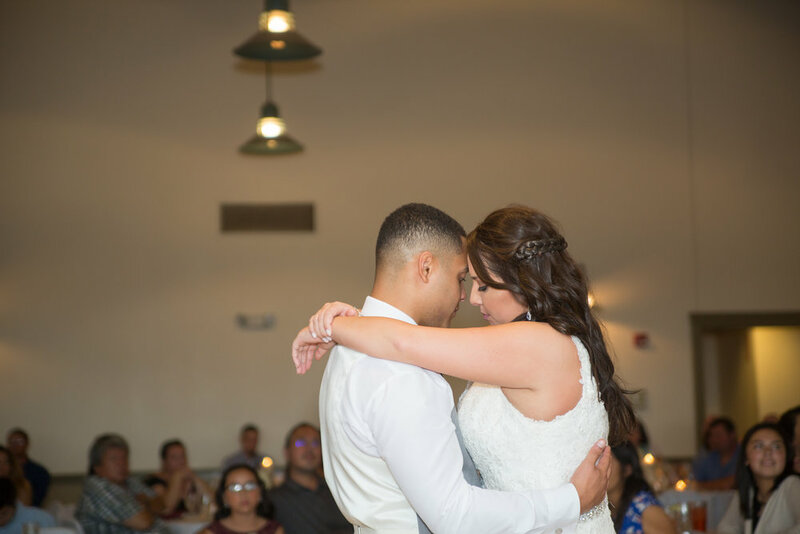 The newlyweds made their way to the dance floor to share their first dance. They wrapped their arms around each other and the music began. They spent their dance laughing and kissing. They savored every minute. Christian, Cameron's best man and twin brother stood to give his speech. He shared what it was like growing up as a twin. How he didn't fully cherish it until Cameron had left to join the army. Not having his best friend and twin by his side provided insight to all the positivity their relationship and twin connection had. He shared that he was proud of Cameron, and his decisions. He ended his speech with, "when the time comes, I'm not babysitting for free." Andrea, Katie's maid of honor and cousin stood to give her speech next. She called Katie not only her cousin, but her best friend and partner in crime. She highlighted memories she and Katie shared together and how much she cherished them. She told Cam to treat Katie with love and respect. Andrea added that they had eight years down and forever to go. "Wherever they go and whatever they do they'll be happy because they're doing it together. " She completed her speech by singing "How do I Live" by Leann Rimes. She received a standing ovation from guests. 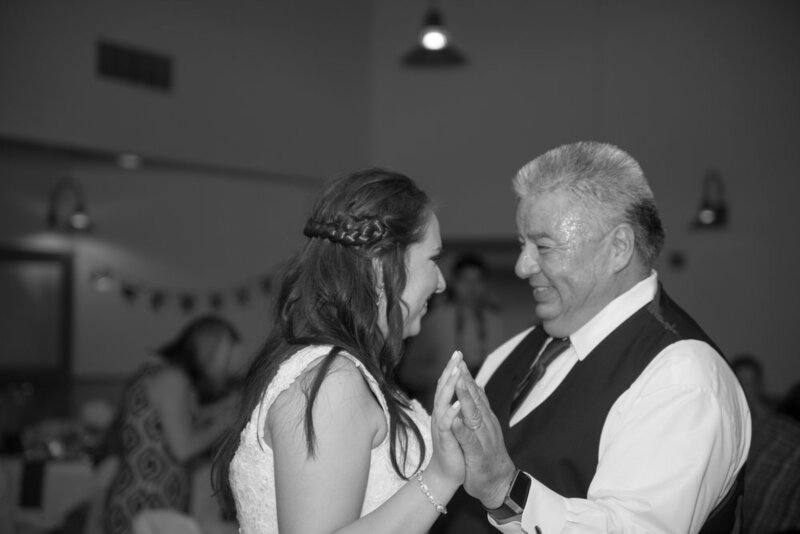 Katie and her dad stepped onto the dance floor to share their father-daughter dance. 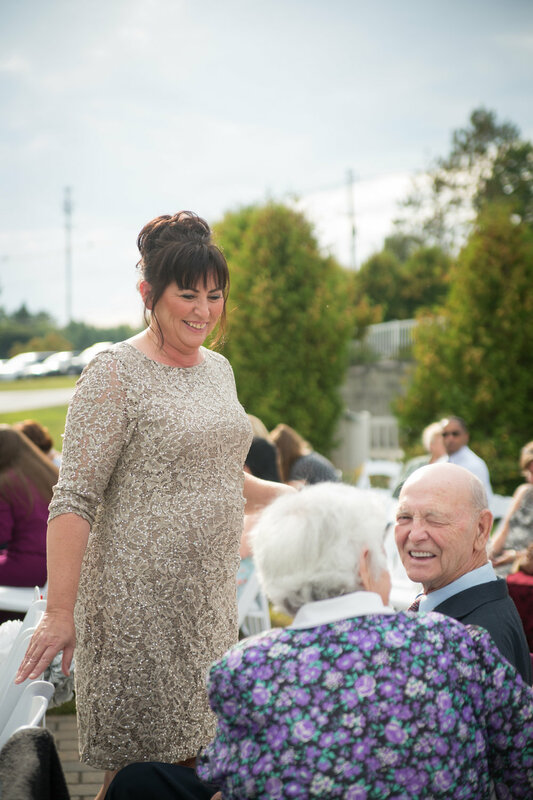 And how sweet it was- Katie's father was endlessly making her laugh! Cameron escorted his mom onto the floor next. She engulfed him in a hug and that's where they would stay the entire length of the song...wrapped in each other's arms. 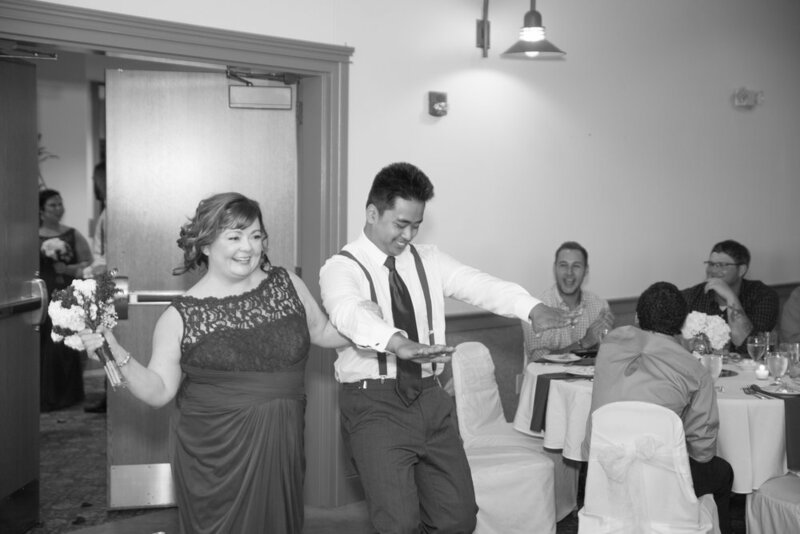 We all agreed this was one of the best mother-son dances we have ever seen. The entire dance was emotional and heartfelt. Cameron wiped his mom's tears and gave her a hug to end the dance. The reception had a few special ideas on the agenda. One was the shoe game! Cameron and Katie agreed on quite a few: Cameron said I love you first and he's the messier one. Katie is more likely to get lost! Ha! We love this game! They had a blast as they answered questions, affectionately turning to smile at each other with every few answers. They clearly know each other well as they gave the same answers with most of the questions. Single guests were invited to the dance floor! Once on the floor guys had one circle and girls had another. They played hot potato with the bouquet and garter, respectively. 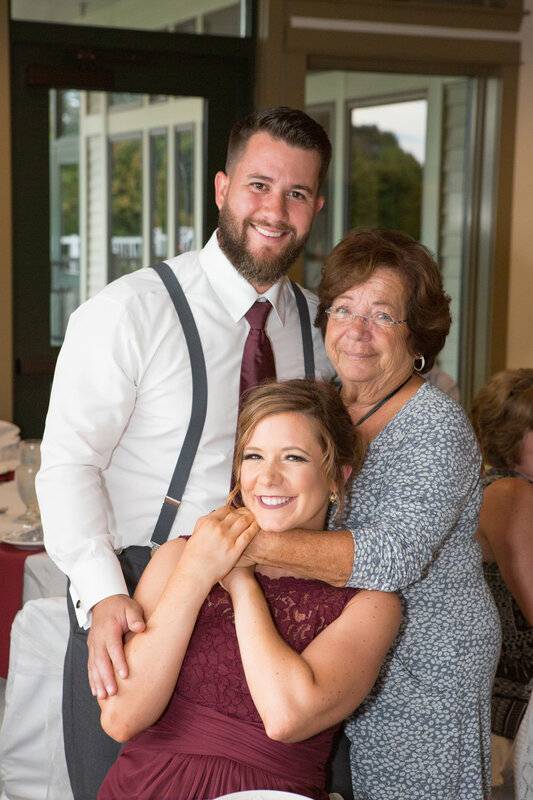 It ended with the groom's grandmother and his older brother catching the flowers and garter! They had a good time with it and guests were in stitches after they completed the ritual. Last but not least was the dollar dance. To honor the Italian tradition they played a traditional Italian song for everyone to dance to. 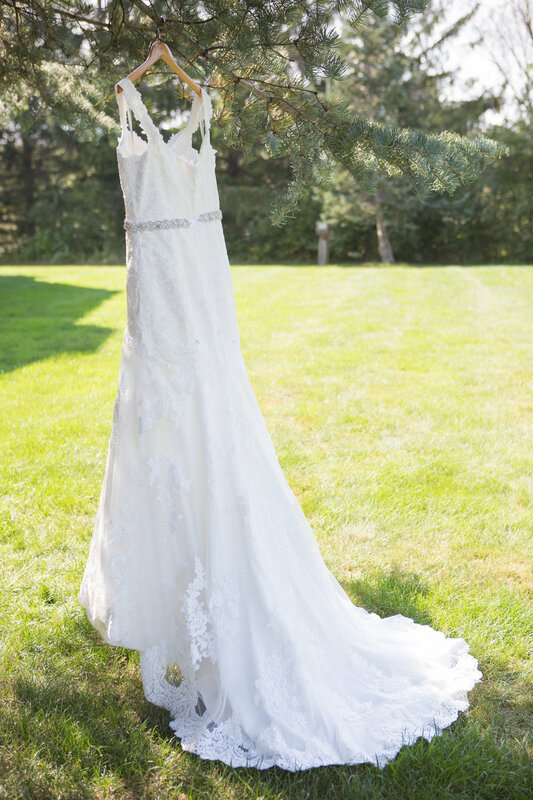 The Maid of Honor wore a handmade apron as part of the tradition. The bride was supposed to wear it, but Katie was too busy dancing with everyone to put it on. 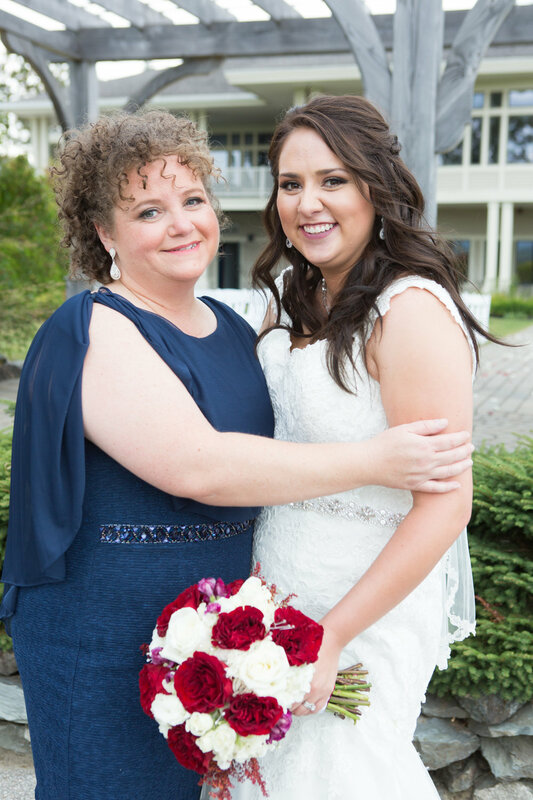 So, her Maid of Honor put it on and stuffed it full of dollars! 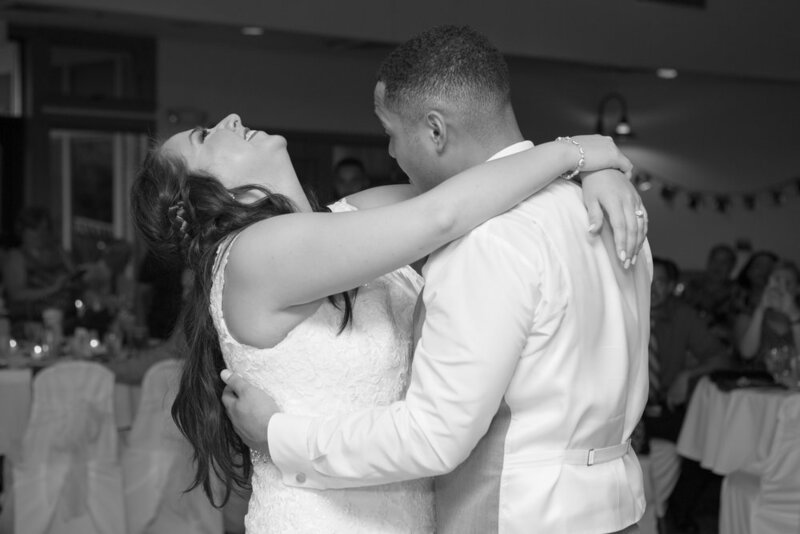 Every guest made it on the dance floor to share moments with Katie and Cameron. With all the special additions to the reception completed, everyone jumped onto the dance floor! 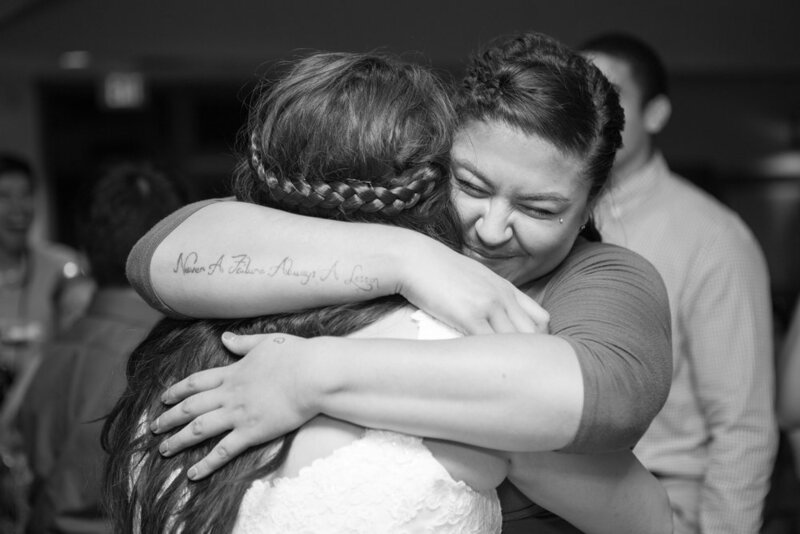 The bride & groom were dancing among their closest friends and family- just as they wanted. What a night! A night that was complete as everyone on the dance floor started a conga line! 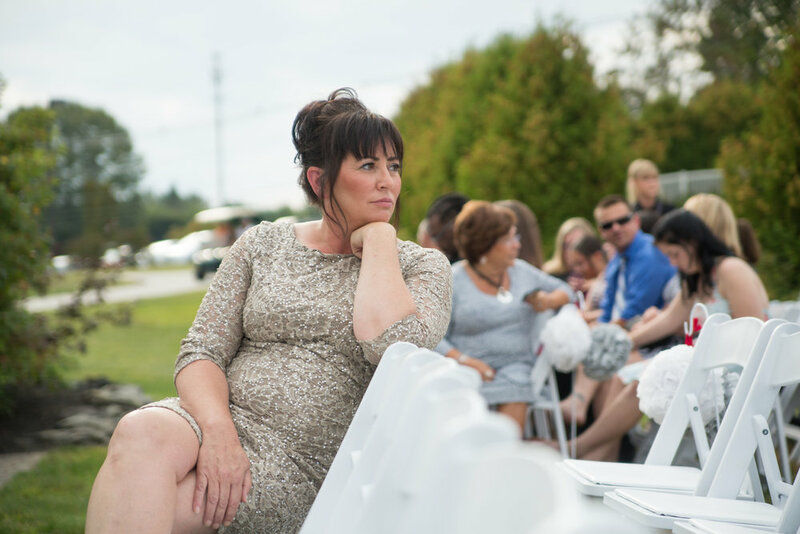 This reception was definitely fun filled! The night ended with Cameron whisking Katie off to a surprise location for the weekend! They hugged their family and wedding party before departing off as husband and wife. 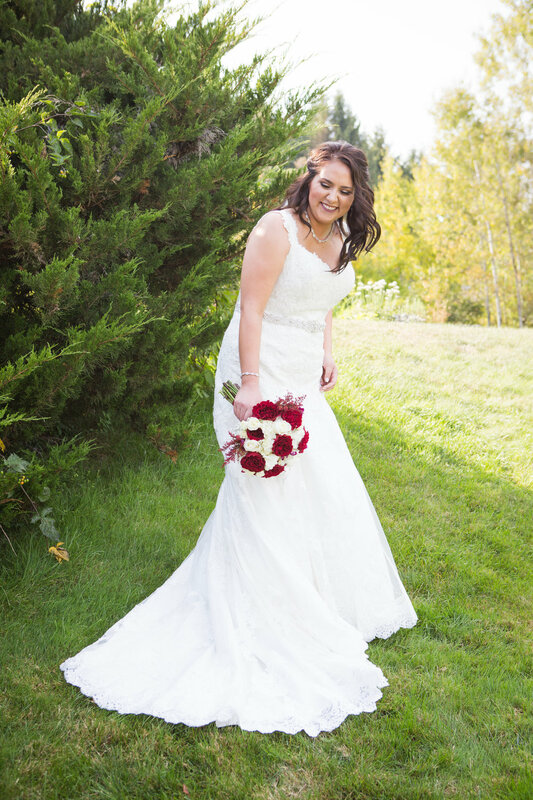 Thank you for including us on your big day and throughout your wedding journey. We sincerely adore you and your entire family. We wish you the best in your future together! Here's to the next exciting thing: your move to North Carolina!